Track and manage everything you need for your long term rental business in 1 place and with ease! Avoid the hassle of searching to see what properties you have available, no more calendar reminders or post it notes to let you know when a lease is expiring and certainly no more using seperate systems to keep track of your service requests / work orders. RPM Pro was designed as a simple property management software but has become so much more over the years, scroll down this page to view some of the most improtant features that RPM Pro could offer you and your long term rental business. The 3 different statuses RPM Pro uses to keep track of your long term rental properties and the 3 different tables / views that you get to use. 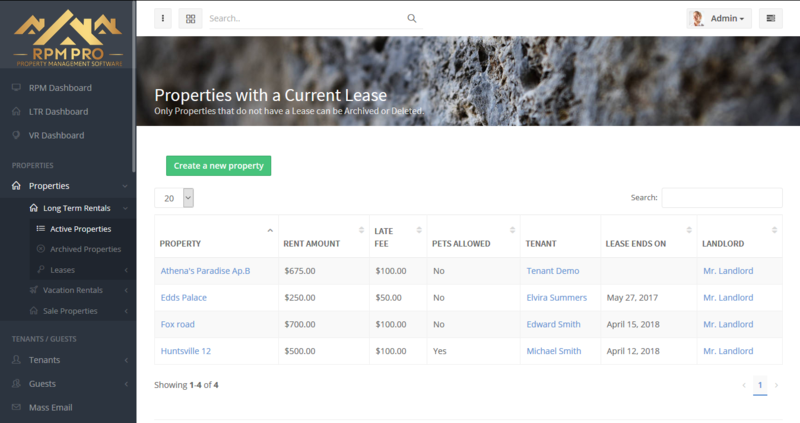 Available properties keeps track of all properties that do not have a lease and that can be leased out to new tenants. Leased is a property that has an agreement between a landlord / owner and a tenant, in with our normal lease system we must add that we also have a seperate "month 2 month" status so that you can seperate leases with ease too. Finally an archived property is a property that used to have a lease or that you used to promote that is no longer in use by your business but may be needed once again in the future. The RPM Pro long term rental property page offers a place to store all relevant information for a property. From the properties address, all the way to property photos and HOA (home owners associasion) information you really can track everything. Photo upload is easy and can be done in bulk with simple drag and drop from your computer too! Alongside the tracking of all of the properties information you can also keep track of residents and service requests when the property is leased, this allows you to get the information you need all in one place. 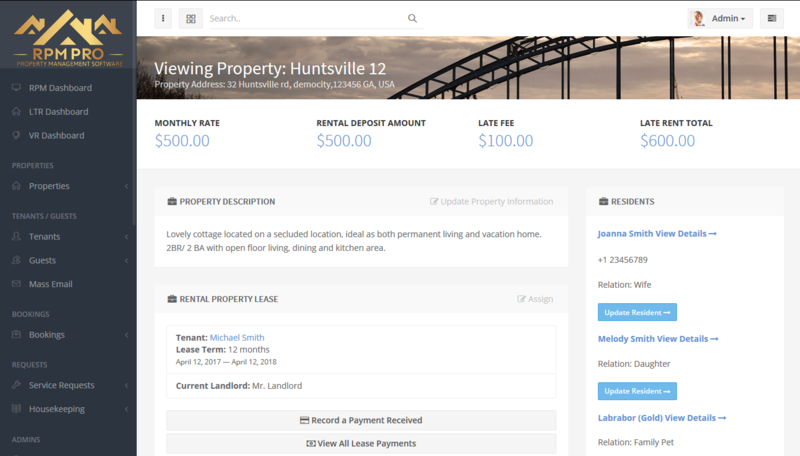 Want to read more information about how leases work in RPM Pro?